Casino Association of South Africa (CASA) embarked on an awareness campaign to highlight the serious risks of illegal online gambling. 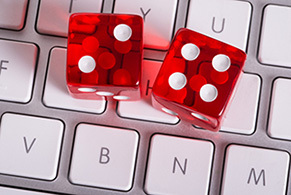 Earlier this year, the Casino Association of South Africa (CASA) embarked on an awareness campaign to highlight the serious risks of illegal online gambling. The campaign which included a combination of public relations, online and social media, radio and print advertising informed the general public about the hefty fines and prison sentences that participants may face if found to be involved in online gambling. It also called for individuals and businesses to be aware of possible online gambling operations in their areas and urged them to report any suspicious activities. On 30 April, a tip-off from a member of the public led to officers from the South African Police Service conducting a raid on an illegal online gambling store in Modimolle, Limpopo. Situated in the Sparrow Centre in Modimolle’s CBD, the Internet Entertainment Lounge was running an illegal online gambling operation under the guise of an Internet café. During the raid eight players were arrested and 38 touch screen computers were confiscated, along with cash and incriminating accounting records. Its owner, Mr Johan Human Pieterse was also subsequently arrested. The raid was a significant coup for the legal gambling industry, whose revenues and in turn taxes to the state coffers, continue to be eroded by the massive scourge of illegal online gambling establishments – a criminal industry that is growing by the day. One of the problems exacerbating this issue is that many people simply do not know that online gambling is illegal in South Africa and, in fact, many of the offshore websites that target South Africans advertise that they are legal in this country. The truth is that all online gambling, apart from sports betting with a South African licensed operator, is totally illegal in South Africa, even if the website is hosted beyond the country’s borders. Transgressors are liable to face prison sentences of up to ten years, fines up to R10 million or both such prison sentences and fines, if convicted. Some may argue that online gambling is a victimless crime but the fact that it’s unregulated allows the illegal operators to take advantage of their players. There is absolutely no guarantee that the player’s winnings will be paid and, should a dispute arise, there is absolutely no recourse that can be pursued. On an economic level, illegal online gambling ‘steals’ revenue that would otherwise be contributing to nation building. It is estimated that at least 5% of revenue contraction experienced by the South African Revenue Service during the 2013/4 tax period was due to the movement of expenditure to illegal online gambling entities. That’s R110 million that was no longer available to be spent on housing, education and infrastructure.